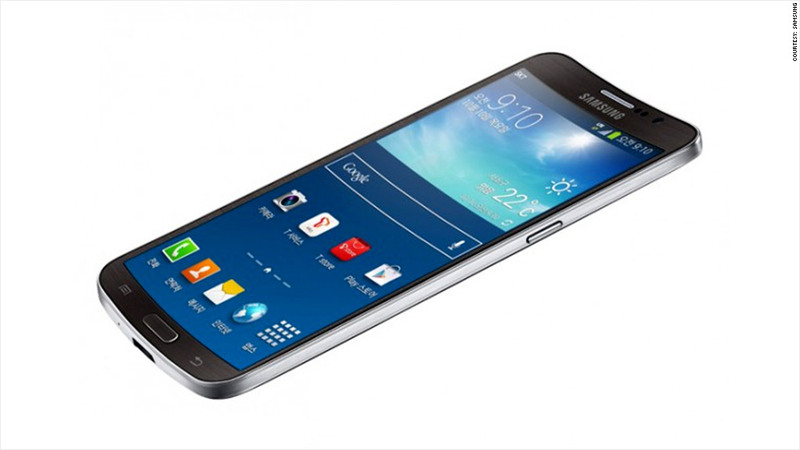 Samsung hasn't revealed when it will start selling the Galaxy Round in the U.S. market. Samsung unveiled the world's first smartphone with a curved screen Wednesday, hoping the new design will improve comfort and convenience for users. The Galaxy Round, with a 5.7 inch display, will be available in Korea starting Thursday. Samsung (SSNLF) did not provide details on prices or when it will be available in others countries. The announcement comes in the same week that rival LG (LPL) said it will start mass-producing a flexible curved smartphone screen that will go on sale next year. Both Samsung and LG have been working on curved designs for some time, and each company offers high-end televisions with curved screens that are designed to create an immersive television experience. Samsung's official blog, with an embedded video, shows how the Galaxy Round can be sitting on a table and turned off, but will light up when it's tilted to the side. Not all prospective customers were impressed with the feature, however, with one person commenting on the blog "Get a rocking chair... you don't need a smartphone for that!" 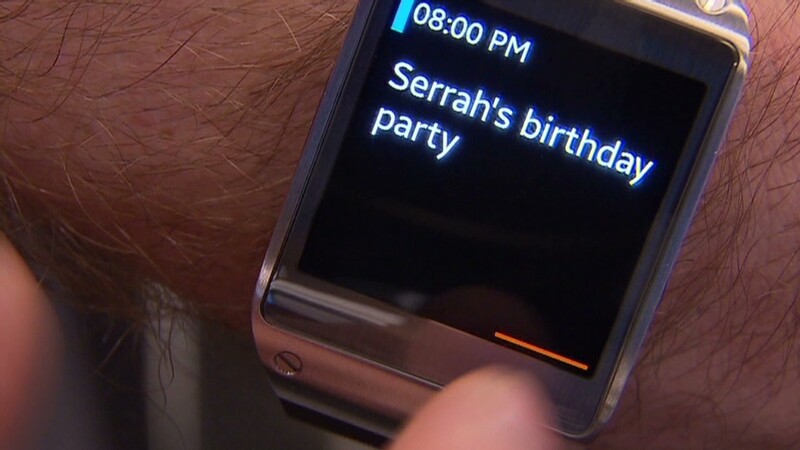 Samsung recently caused waves in the tech world when it launched its Galaxy Gear smartwatch. The $299 Gear watch is designed to link up with Samsung's Galaxy smartphones and tablets to let users know when they receive a call, text message or e-mail. Though the smartwatch initially grabbed headlines, many prospective users expressed dissatisfaction with the watch. Last week, Samsung announced it was on track for record-setting financial performance in the third quarter. The smartphone maker said it would report operating profit of $9.2 billion to $9.6 billion for the quarter -- which works out to a minimum increase of 23% over the same period last year.